Toss sliced zucchini with olive oil and a dash of salt and pepper. Spread zucchini evenly on a aluminum foil covered pan and place under the broiler for 1-2 mins. Flip the zucchini and return under the broiler for another 1-2 mins. 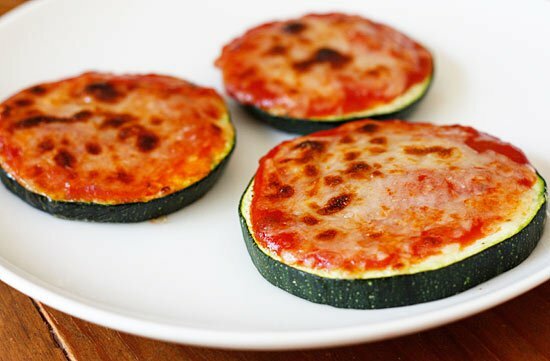 Remove the zucchini and top with ½-1 tsp of pizza sauce, shredded cheese, and pizza topping.